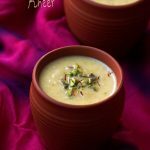 Apple Khoya Kheer is a very simple and easy Indian dessert that can be made in no time for many festivals like Holi, Diwali, Makar Sankranti or any other occasion. If you are looking for more Holi Recipes then do check Mawa Coconut Jaggery Laddu, Khoya Gulab Jamun, Khoya Besan Laddu, Sooji Ki Kheer, Gathiya and Chocolate Mawa Burfi. Scroll down to see the full video of making Apple Khoya Payasam. 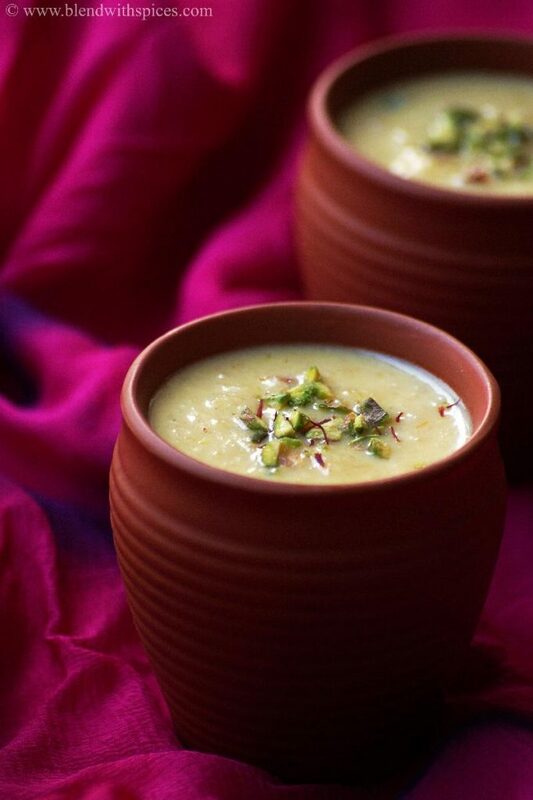 An easy apple mawa kheer recipe for holi or any other festival. 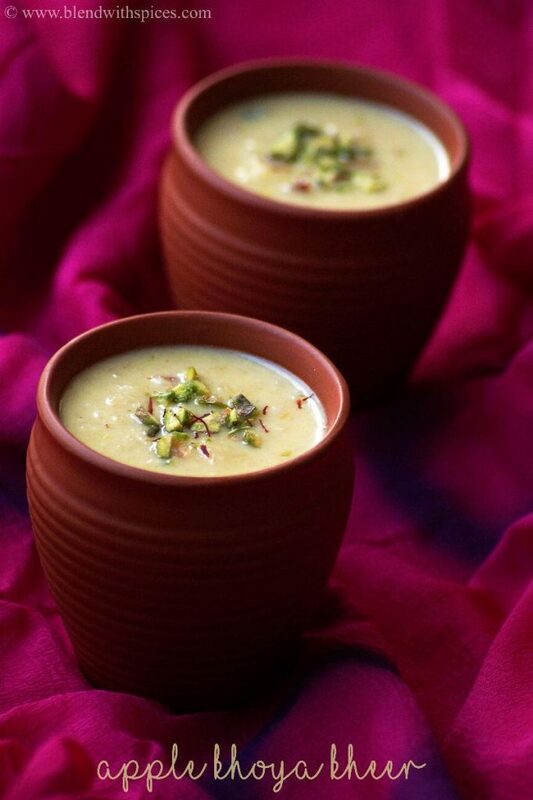 Soak the saffron in little warm milk and set aside. 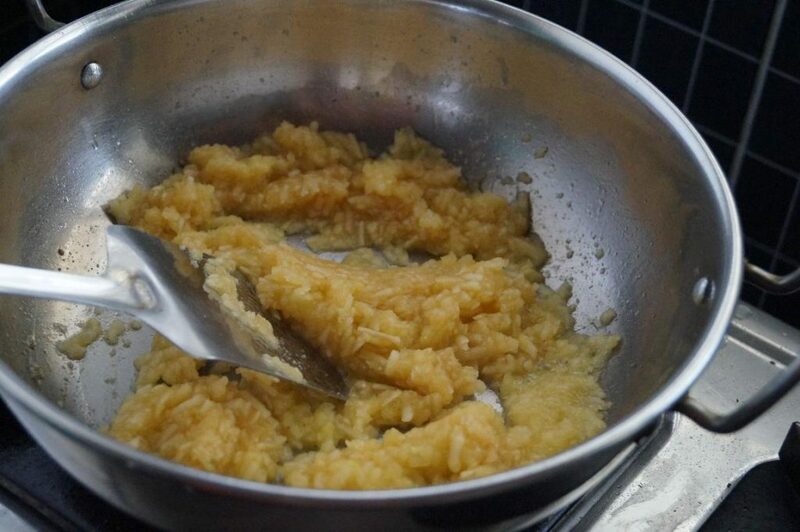 Add the grated apple and fry for about 5-6 minutes. Remove from the flame and let it cool completely. 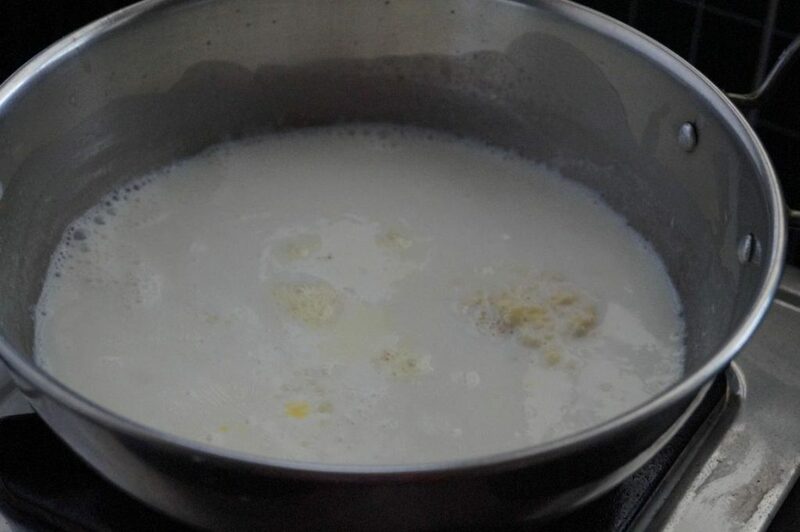 Pour milk in a heavy bottomed pan and bring it to a boil. 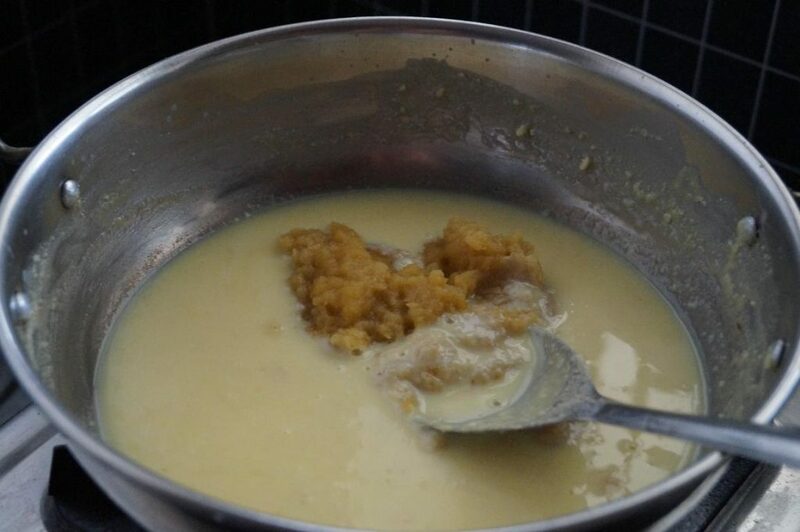 Add the khoya, sugar and saffron milk to the boiling milk and mix well. Let it boil for about 5 - 7 minutes or until the mixture thickens a little. Add the cardamom powder and cook for another 2 minutes. Turn off the flame and let it cool down. 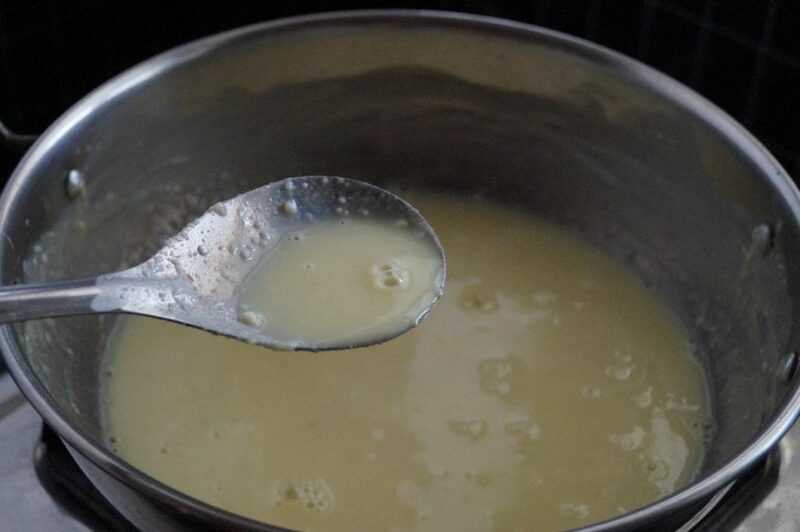 Add the prepared apple to the cooled milk mixture and mix well. Garnish with nuts and refrigerate for sometime. Serve chilled. Add more milk if you want thinner consistency. Use less or more sugar depending on the sweetness of the apples. You can serve this at room temperature or chilled. 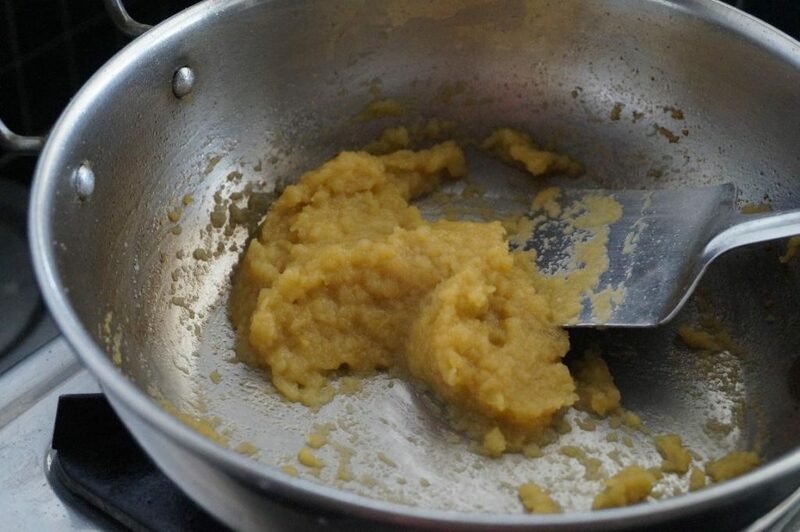 Make sure that you mix the milk mixture and sauteed apple only at room temperature. 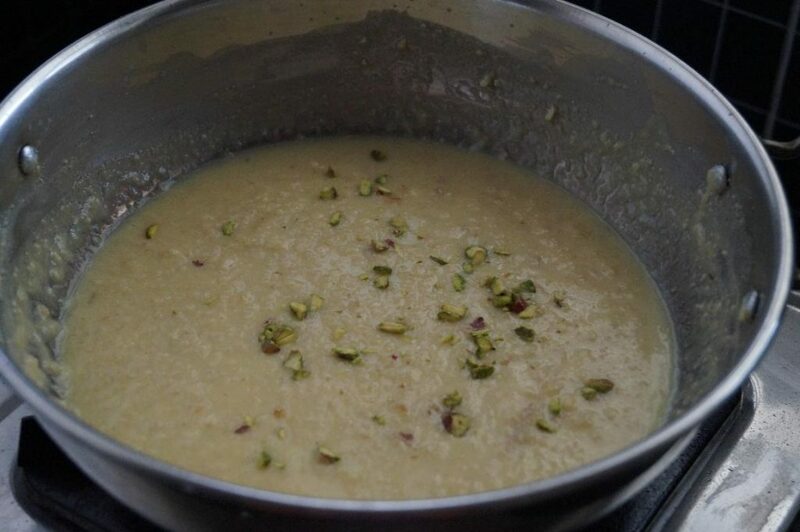 Otherwise, the kheer may curdle. Let it boil for about 5 – 7 minutes or until the mixture thickens a little. 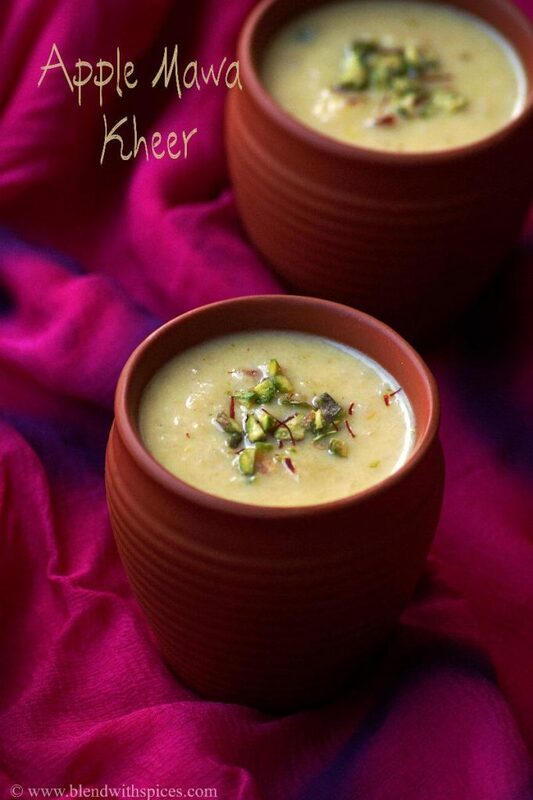 This is so different from the usual Kheer.. Just awesome!! Very nice clicks ,Lovely share…. nice ! healthy recipe ! thanks for sharing this recipe! ill surely try it !